An unaltered photocopy of your Report of Separation (DD-214, WD AGO, etc.) 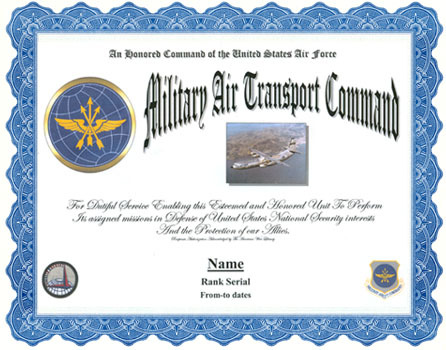 If your service with the Military Air Transport Command is not displayed on your Report of Separation you must provide a copy of your Report of Separation -AND- a copy(s) of any military-issued clearly displaying your service with the Military Air Transport Command. The Military Air Transport Service (MATS) was a major command of the United States Air Force established on 1 June 1948, replacing the Air Transport Command (ATC). MATS was a consolidation of the United States Navy Naval Air Transport Service (NATS) and the United States Air Force Air Transport Command (ATC) into a single, joint, unified command. MATS was deactivated on 1 January 1966 due to the withdrawal of the naval units and the demands of the expanding Vietnam War. MATS Air Force assets were assigned to the new Military Airlift Command (MAC). Established as Air Corps Ferrying Command on May 29, 1941. 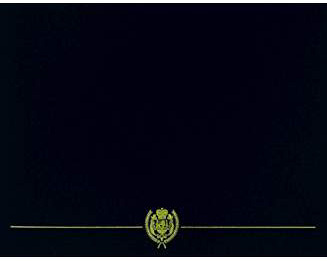 Naval Air Transport Service disestablished, 1 July 1948. Inactivated on June 1, 1992.